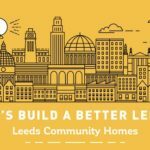 To prepare the community shares offer, as well as match-fund up to £100,000 raised by local people, which will purchase 16 affordable flats in Leeds. People from all over Leeds have invested over £360,000 in our people powered homes revolution. Anyone can become a supporter and member from just £1 in community shares. Well-designed homes, in well-designed neighbourhoods are better places to live. 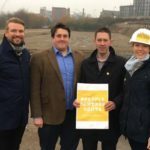 Leeds Community Homes will create affordable homes near to vital services, with clear benefits for the local economy. 26% of the UK’s carbon emissions are from homes, but these homes will be environmentally sound, meaning they are cheaper to heat and will help reduce the number of people living in fuel poverty. Leeds Community Homes is an innovative people powered revolution looking to change Leeds dysfunctional housing market, which is currently struggling to meet demands in Leeds for affordable homes to rent or buy. 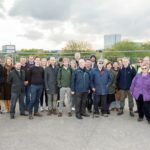 As a Community Land Trust, Leeds Community Homes plan to build 1,000 people powered homes in Leeds by 2028. These new homes plan to be affordable to local people both now and for future generations. The homes will also be sustainably build and environmentally sound. To do so, Leeds Community Homes are thinking creatively about ways to raise finance and using innovative techniques to build homes which last, including opening a community shares offer, which successfully raised £360,000 from people all over Leeds and the UK. Power to Change invested £9,307 to help them get the share offer ready to go live and then match funded the first £100,000 raised in community shares. 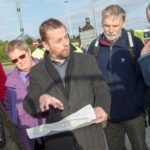 The share offer was a catalyst, as it raised awareness in Leeds of a community-led approach to housing. Leeds Community Homes anticipate opening more share offers in order to raise the finance to deliver fantastic community homes.